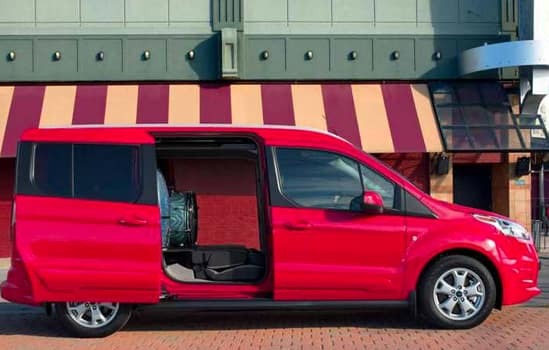 The 2018 Transit Connect Passenger Wagon has the most available seating configurations in its class. * It offers class-exclusive available seven-passenger seating, optional on Titanium and standard on the XL and long-wheelbase XLT passenger wagon. 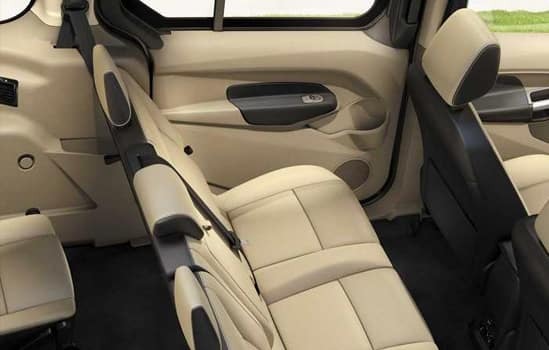 The short-wheelbase passenger wagon offers five-passenger seating. Rear seats in all passenger wagon models fold for storage and convenience, and the front-passenger seat can fold flat** when you require an area to set your laptop or need a writing surface when parked. 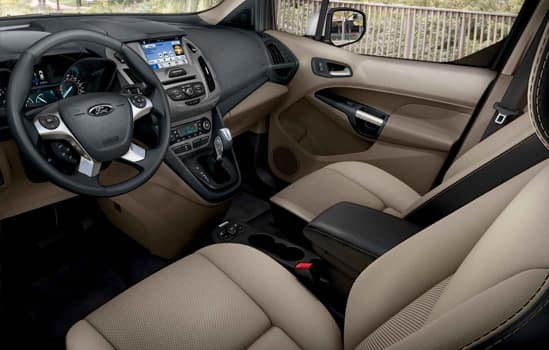 The height of the load floor behind the front seats is less than two feet and the maximum cargo height is 42.2 inches for long-wheelbase models, 49.0 inches for short-wheelbase models. The width between the wheelhouses is 46.9 inches and the rear cargo-door opening width is 47.0 inches. With the second-row seats folded, there is 104.2 cu. ft. of storage* in long-wheelbase models, 77.1 cu. ft. of storage* in short-wheelbase models. Available BLIS (Blind Spot Information System) with cross-traffic alert helps make driving more convenient. It uses radar to identify if a vehicle is detected in your blind spot and alerts you with an indicator light in the appropriate exterior mirror. Cross-traffic alert also uses radar to watch for traffic behind you as you’re slowly backing out of a parking spot or driveway. If cross-traffic sensors detect a vehicle approaching from up to 15 yards away, you will be audibly and visually alerted. Available on XLT and Titanium. The available Forward Sensing System10 * warns you about objects in front of the vehicle. 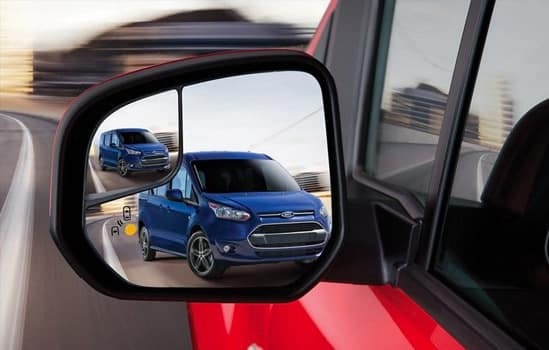 The available Reverse Sensing System 10 audibly alerts you to certain objects located directly behind your vehicle when you’re backing up at slow speeds. With both systems, the closer you get to an object, the faster the beeps. 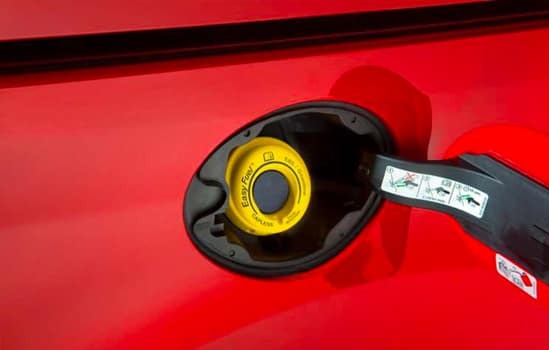 EPAS uses an electric motor instead of a hydraulic pump. This results in control that can be precisely programmed to enable technologies that help steering control, such as pull-drift compensation and active nibble control. The EPAS electric motor operates only when steering assistance is required. This is a better way of managing energy than traditional hydraulic systems, which run continuously. 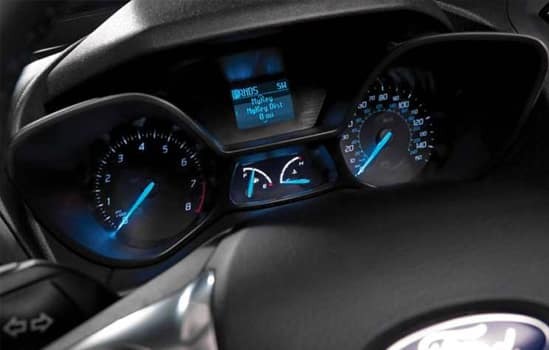 With personalized settings for two keys, this available smart technology lets you limit top speed to 65, 70, 75 or 80 mph as well as select speed alert chimes at 45, 55 or 65 mph. You can also limit the radio volume to 45 percent and set the Belt-Minder® to chime, while muting the audio system, until the safety belt is buckled. 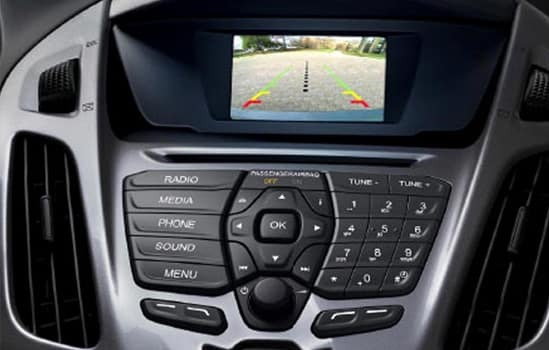 The available rearview camera, included with optional audio systems, provides a video image on the center stack screen of the area behind your vehicle. The camera is activated when you shift into Reverse and back up slowly. The screen has guides to help you align your vehicle with a trailer or assist you with backing up in tight places. Standard in the Transit Connect XLT and Titanium. Available SYNC® 3 is our easy-to-use, responsive voice-activated technology. Experience the capacitive touchscreen with impressive responsiveness. Locate your favorite restaurants with simple destination entry via the available navigation. You’ll also find a sleek user-friendly interface to help you connect to and control your smartphone. 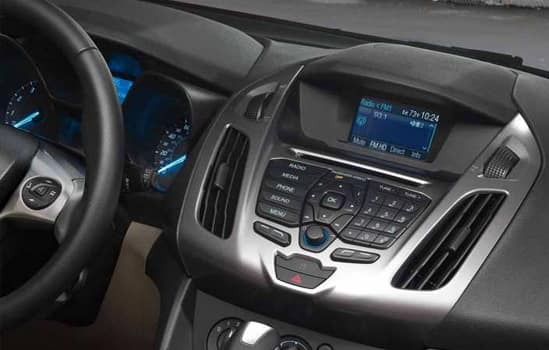 SYNC 3 also brings you the power of Apple CarPlay ™ and Android Auto ™ compatibility to your Ford. 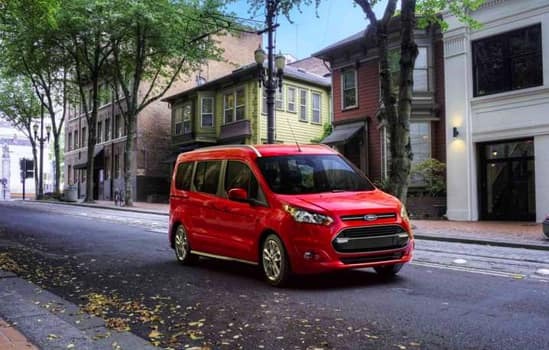 The Transit Connect, especially the short-wheelbase model, is a natural when it comes to maneuvering into small parking spots or navigating around tight spaces. 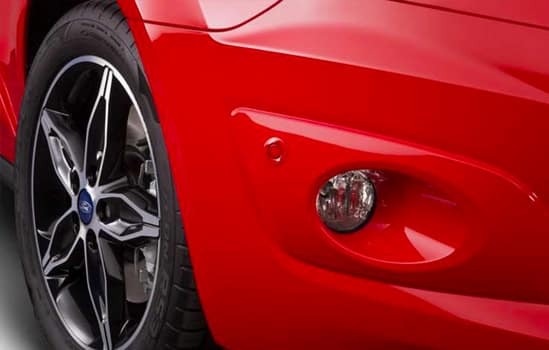 The short-wheelbase models have a best-in-class* 36.1 feet of curb-to-curb turning diameter, while the long-wheelbase model has a turning diameter of 40.0 feet. Long-wheelbase shown. 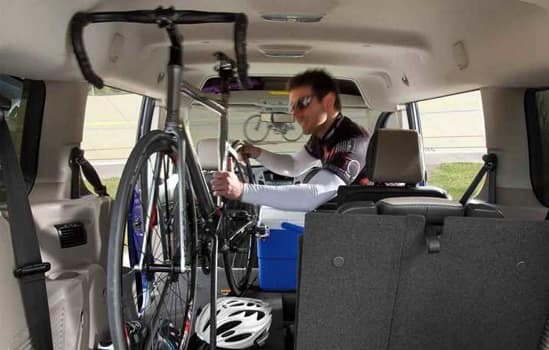 The Transit Connect XL and XLT models come with standard 16-inch steel wheels and full wheel covers. The Titanium features standard 16-inch aluminum wheels while the XLT can be equipped with available 16-inch aluminum wheels. XLT and Titanium models can be equipped with available 17-inch aluminum wheels or 17-inch premium black-painted machined aluminum wheels. Trailer sway control helps you tow more confidently by automatically determining from the motion of the vehicle if the trailer is swaying. It then takes measures, such as applying precise braking or reducing engine torque, to help you keep both the vehicle and the trailer under control. Curve Control helps drivers maintain control when entering a curve too fast by reducing engine torque and applying four-wheel braking to reduce speed.